Panini’s acclaimed bookazine series The Essential Doctor Who continues, with a lavish 116-page issue about the Doctor’s journeys into Earth’s past. Actress Anneke Wills, who played Polly in The Smugglers and numerous other stories. 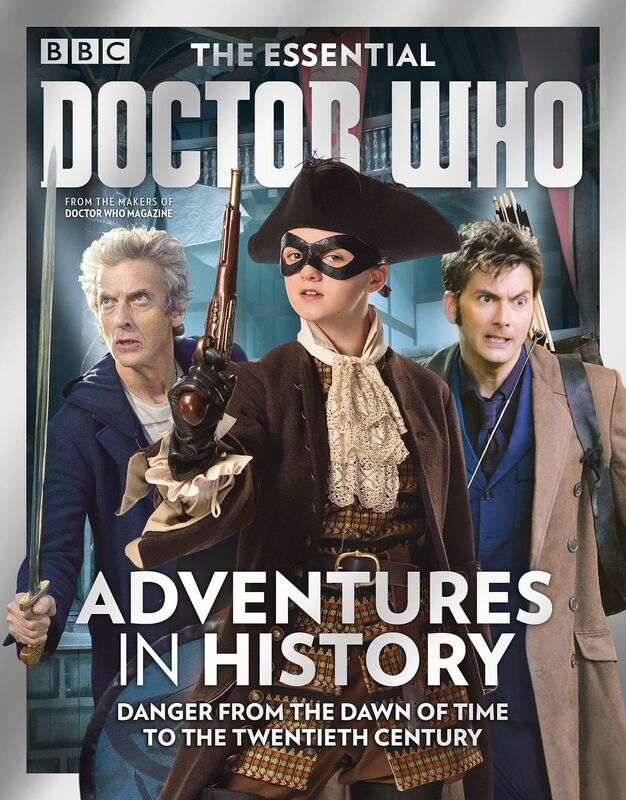 Elsewhere in this packed issue, Andrew Pixley reveals Donald Cotton’s notes for the 1965 story The Myth Makers, timelines chart the Doctor’s adventures from the creation of the Earth through to 1963, and 15 trips into history are revisited, from the era of the First Doctor right through to that of the Twelfth.